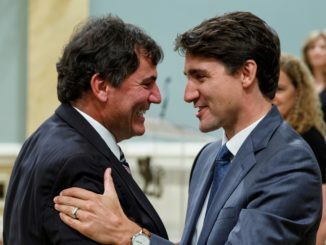 If there is something that Justin Trudeau likes more than virtue signalling, then I haven’t found it. In the last federal budget, Trudeau’s Liberals made sure they hit all the keywords aimed at attracting women voters over and over and over again. In the budget they mentioned gender 359 times, women 708 times, equality 154, analysis 34 and gender-based analysis 13 times. In fact, the government claimed that a gender-based analysis informed all their decisions, like this claim on page 18 of the budget. In Budget 2018, no budget decision was taken without being informed by Gender-based Analysis Plus (GBA+). And to ensure that gender remains a key consideration for future governments, the Government will introduce new GBA+ legislation to make gender budgeting a permanent part of the federal budget-making process. Seems like gender and a gender-based analysis is pretty important to this government. Or so you would think. When Bill Morneau, Justin Trudeau’s dazed and confused finance minister, showed up to the House of Commons Standing Committee on the Status of Women, I doubt he was expecting to meet Michelle Rempel and her line of questioning, which quite frankly, I can’t decide whether it was judo or a Jedi mind trick. Rempel used the Liberals own words against them as she pressed Morneau for his report on the gender-based analysis of the carbon tax. 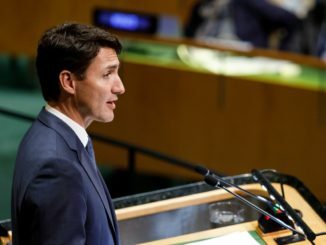 Of course the Liberals have been loathe to release any reports on the cost or impact of the carbon tax and only recently released a report they say shows their “carbon pricing” scheme works when the numbers show the opposite. But in Rempel’s line of questioning at committee, Morneau was forced to dance, dodge and weave on where his gender-based analysis of the carbon “price” or tax was. He said in his own budget that is was vitally important but then could not provide any evidence. 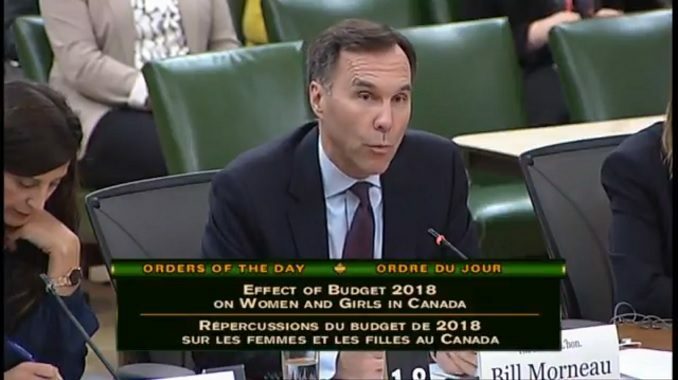 Watch Morneau’s stunned face throughout the exchange and remember this the Standing Committee on the Status of Women. His facial expressions say anything but respect for the woman that is questioning him while using his own words against him. In fact, Morneau’s face more often shows exasperation, frustration and contempt. Not exactly what Trudeau would want from a feminist finance minister. This “dialogue” makes them both look like idiots. Rempel = continual interupting = rude = bully. Morneau = obfuscation, confusion, stonewalling. What has become of democracy in Canada?! Give me less politicians, less politics, less taxes. #smoothtalker #morneau. Using time and words to say ABSOLUTELY NOTHING. Just like #Obama and #Trudeau. The only plan they have is to siphon my retirement money right out of my pockets and give it to some #moneylaunderingscheme of #globalist #foundations. What a #WEASEL. Bill Morneau is nothing more than a trained parrot. His response of “gender based analysis” is on the level of a parrots “Polly want a cracker”. Neither one understands what the meaning of the question was. They both just respond to what they have been told to repeat by their lord and masters.